A shared love for food blended together with a taste of Samoan infusion dishes is a failsafe recipe to bring people together in harmony. This is something that Junior and KC Poulava, the owners of Whisk Dining Room, have built their unique business concept around. 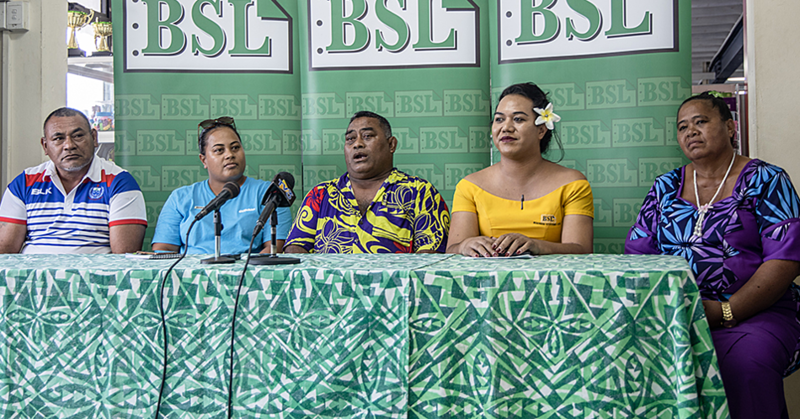 After a year and a half of operating out of their home in Palisi, the couple has relocated Whisk to a commercial location in the Samoa Commercial Bank building at Lotopa. “We had to meet the demand,” said Mrs. Poulava. The young husband and wife team wanted to create a space where people could enjoy the whole dining experience from the people to the food. Chef Junior, who does all the creating, prepping and cooking, loved the idea of throwing something together and blending it all together to create something unique each and every time, which is where the name “Whisk” was born from. “A whisk is something that blends things together and for us, food brings people together and blends people together,” said Mr. Poulava. Their unique take on the fine dining experience have earned them a lot of attention and some serious foodie fans. With a “by appointment only policy” and a five course meal menu - you can rest assured that every attention to detail is given to design and execute your fine dining experience. “I think what makes people come is the experience and the uniqueness of it,” said KC. The indecisive eater in all of us will thank the Whisk Dining Room for taking the hard part out of eating out. Rather than having to choose one meal out of many delicious offerings, the whisk experience is to have your cake and eat it too. “We’re just giving everyone a little taste of everything,” said Mrs. Poulava. 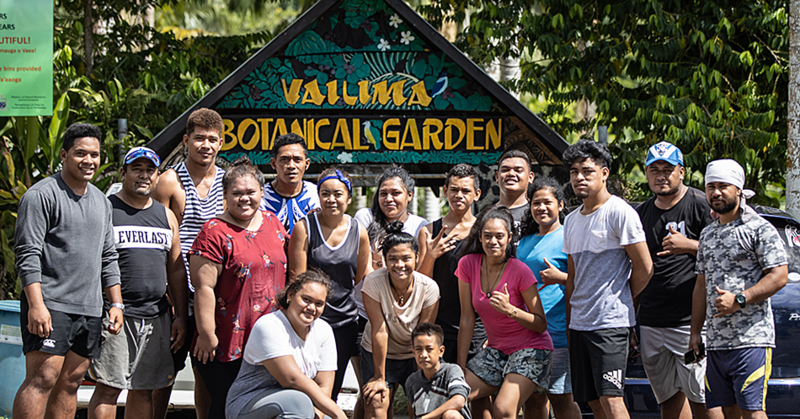 Chef Junior started his cooking in a café restaurant in Australia where he learnt how to do the basics and then later returned to Samoa and graduated from A.P.T.C. He is also motivated to keep our local culinary dishes alive even if they have a slight modern twist. Most all of his dishes are inspired by his childhood favourites. Both at the age of 26 years old, they know the meaning of hard work. They are only full time workers during the day; they also raise their young children at the same time and run their restaurant business in the evening. Junior and KC wouldn’t have it any other way believing that they are fulfilling a God given talent and purpose. 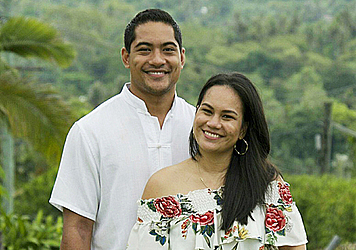 The couple emphasised to the Sunday Samoan that they would not have gotten very far without their faith and that any shred of their success is owed to God. Bookings are essential at Whisk Dining Room and they are open for dinner hours only.